Aww would ya look at that, my little extension has it’s first new feature. 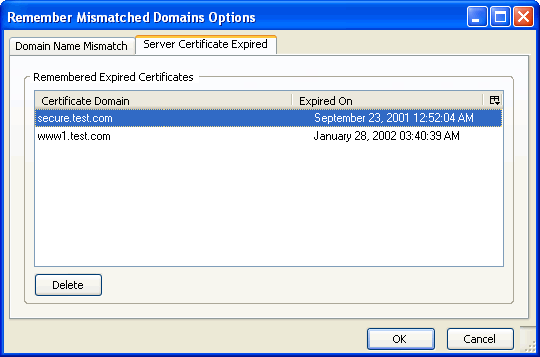 Version 0.9 adds the ability to remember expired certificates. Install / download from here and you can use the comments for bugs or any other feedback. I keep clicking on download “here” and nothing happens???? After clicking you will see a yellow bar across the top of the page “To protect your computer, Firefox prevented this site (www.andrewlucking.com) from installing software on your computer”. You’ll need to allow the site by selecting the “Edit Options…” button.